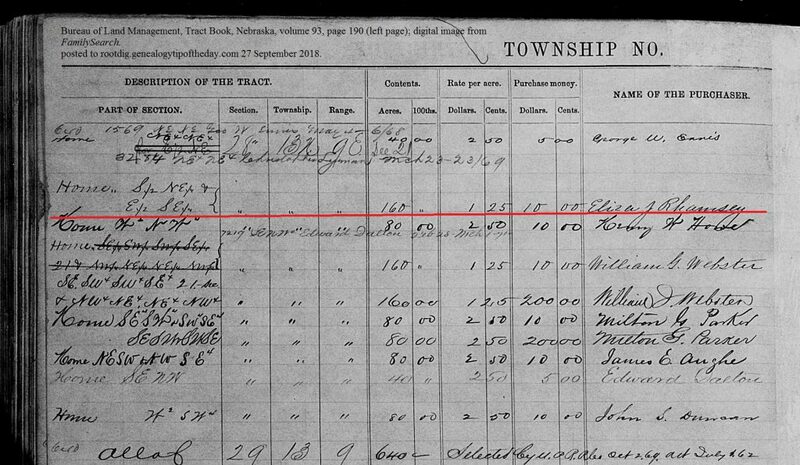 When Eliza Ramsey could not be located in the database of homestead files for Nebraska at Ancestry.com, one of the things I did was to locate her in the tract books for the Bureau of Land Management. These books contain a reference to every claim made for federal property–even if it was incomplete. The books are organized by location. And sure enough there was the entry for Eliza–as Eliza J. Rhamsey. The handwriting was clear as day. Just as the name was spelled in her completed homestead file. The property description was correct. The acreage was right. It indicated she paid $10.00. While there is a rate per acre listed in her entry in the tract book, the right hand page does not indicate that her claim was converted to a cash sale. That may be because of the amount of time she had been on the property or maybe she didn’t want to pay it–I’m not certain. All I know is what it says in the entry book. One can see that other claims were cash sales and not homesteads. Claims that were initiated as homestead claims have the word “Home” to the left of the entry. Eliza’s claim was completed at the Lincoln, Nebraska, land office and patented on 1 May 1872. The column for “Date of Sale” appears to contain dates that are not really sale dates–at least not in all cases. 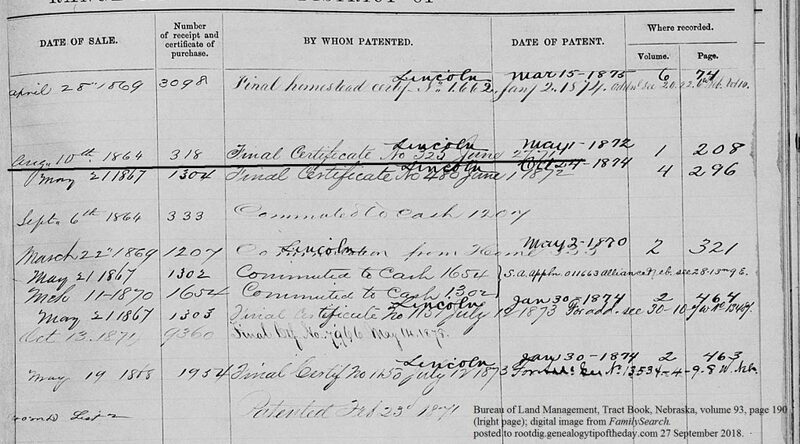 I need to compare that date to the information in Eliza’s file to see how her file refers to that date. 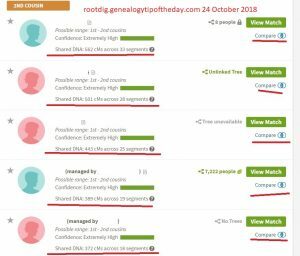 A brief discussion of using these books (along with direct links to a finding aid and the books themselves) was posted on Genealogy Search Tip of the Day.